How can I unblock the *.chm help file ? Subject: Why I can not see the content of the help file (*.chm) ? 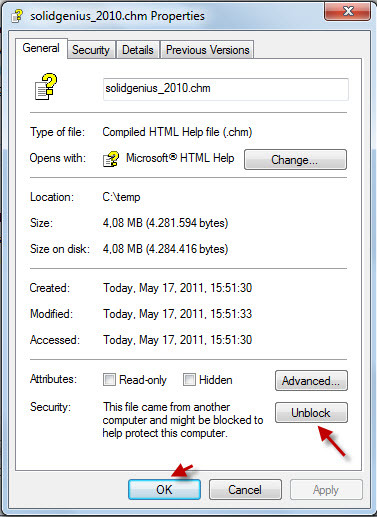 Please first download the *.chm help file, then go to his properties by clicking the file with the right mouse button. There you can unblock the help file by selecting "Unblock". Afterwards the help file will be unblocked, so we can see the contents of this file.